UNACOH through Pesticides Use Health and Environment (PHE) Project (#Promotingpesticidessafety) is working in 17 districts and has transformed community lives through advocating for safe pesticides handling. New project districts in addition to Wakiso and Pallisa includes: Northern Region (Gulu, Kitgum, Nebbi, Adjumani) Eastern Region (Budaka, Bugiri, Kumi, Kapchorwa) Central Region (Kayunga, Sembabule, Rakai, Wakiso) and Western Region (Bushenyi, Kamwenge, Masindi, Ntungamo). 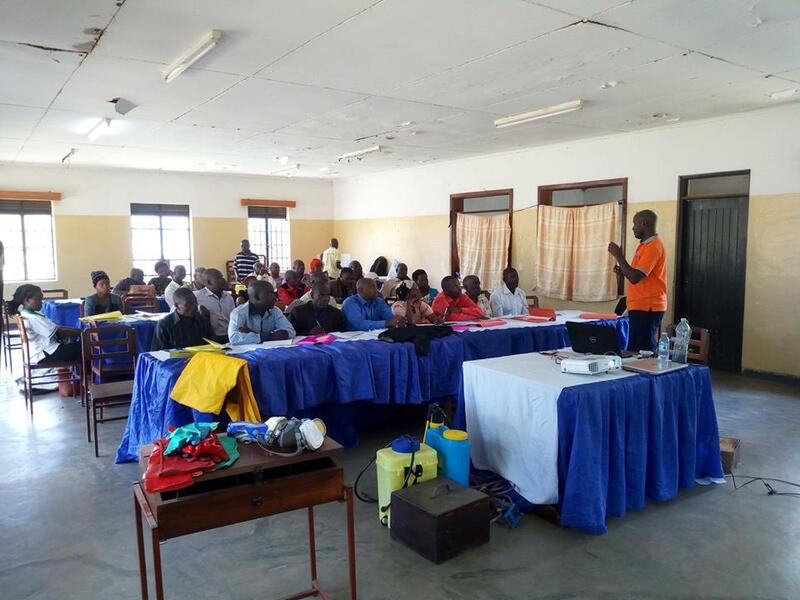 Recently the project trained over 1000 participants (Farmers and District Farmers Association Staff) on safe pesticides handling in the 17 districts. Follow our page for more and more updates in the various projects.#HealthforAllandbyAll. PUBLIC LECTURES IN NURSING SCHOOLS.